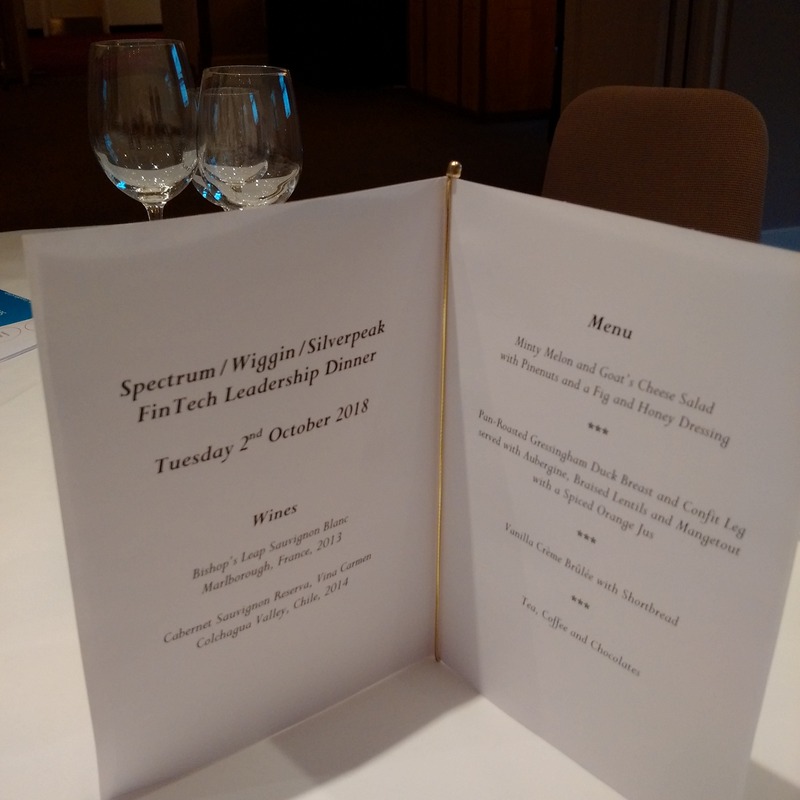 Spectrum co-hosted an enlightening FinTech Leadership Dinner with Silverpeak, the technology investment bank, and Wiggin, the technology law firm. 15 senior executives enjoyed a ‘Chatham House rule’ discussion on the opportunities and threats experienced by FinTechs. Our next event is a HealthTech Leadership Dinner to be held in Central London on Tuesday 13 November 2018. To register your interest in attending this event, please contact Sarah Rush at Spectrum.